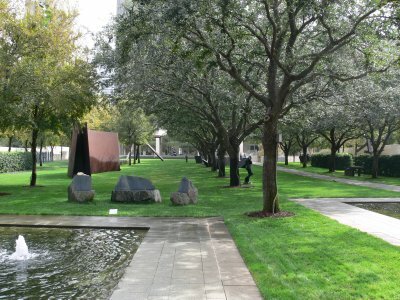 The Nasher Sculpture Center displays not only an indoor collection of more than 300 of the world’s best contemporary 20th century sculptures, but it features a stunning outdoor sculpture garden as well. 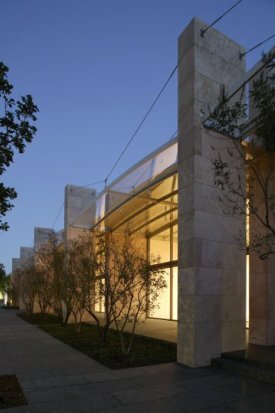 Located on a 2.4-acre site adjacent to the Dallas Museum of Art in the heart of the Dallas Arts District, the Nasher Sculpture Center’s 55,000 square-foot glass-and-marble structure was designed by the world-renowned architect, Renzo Piano. Working in collaboration with Piano, landscape architect Peter Walker created an exquisite, 1.4-acre sculpture garden where a set of “outdoor galleries” showcases some of Raymond and Patsy Nasher’s collection, and where the garden also serves as a serene urban park. The museum hosts several popular events, including: NasherSALON, a lecture series welcoming internationally-acclaimed legends; Target First Saturdays, a program designed specifically for families; and Saturday Night in the City, featuring Al Fresco dining and periodically, music in the Sculpture Garden. 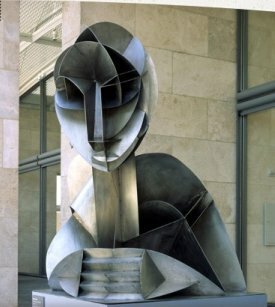 Widely considered as housing the finest private sculpture collection in the world, the Nasher Sculpture Center includes quality works by virtually all of the great modern artists like Pablo Picasso, Auguste Rodin, Henri Matisse, Alexander Calder, Richard Serra and many others. The indoor gallery consists of five, simple, straight pavilions. The long walls are constructed of travertine marble, and the end walls are fully glazed - some displaying sculptures that are fully visible from the street. 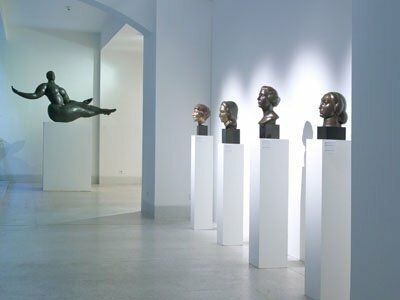 With a collection of more than 300 sculptures, the museum rotates them in thematic installations throughout the exquisite, light-filled building, which was designed to let in only indirect sunlight. In addition to the Nasher sculptures, the museum also routinely exhibits works drawn from other museums and private collections. 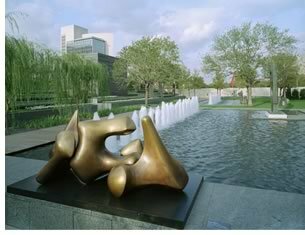 Peter Walker, one of America’s foremost landscape architects, designed the Nasher Sculpture Garden Dallas as a set of “outdoor galleries”. Essentially a museum without a roof, the stunning garden is a subtle balance of art and nature. 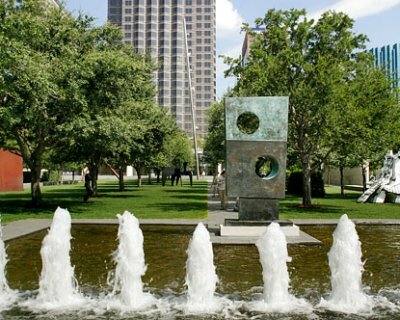 Most of the sculptures in the garden are strategically placed among beautiful landscaping and fountains, which are quite dramatic by themselves, but even more so against the backdrop of the Dallas skyline. 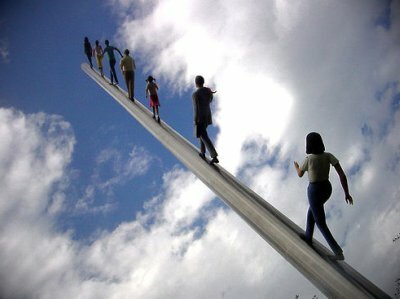 There are too many superb pieces in the outdoor collection to name them all, but one of the more notable is Jonathan Borofsky’s 2004 “Walking to the Sky”, which depicts seven life-size figures climbing a 100-foot pole that reaches toward the sky. Another notable piece is James Turrell’s “Tending (Blue)”, a “skyspace” which was commissioned specifically for the Nasher Sculpture Center. 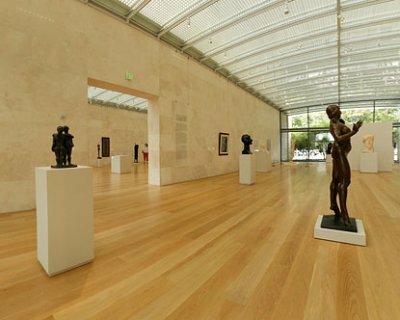 A downtown urban oasis of serene beauty, The Nasher Sculpture Center is one of Dallas’s cultural treasures, and is well worth the visit if you’re a fan of modern art or contemporary architecture. Tuesdays: 11 a.m. to 5 p.m.
Wednesdays: 11 a.m. to 5 p.m.
Thursdays: 11 a.m. to 9 p.m.
Fridays: 11 a.m. – 5 p.m.
Sundays: 11 a.m. – 5 p.m.
Also closed Thanksgiving Day, Christmas Day, and New Year’s Day. Click here to visit the Nasher Sculpture Center's website for additional information.